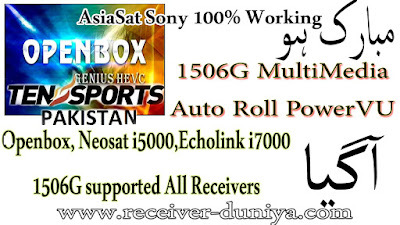 Hello friends today I am shairing with new Auto Roll PowerVU Software for all 1506G and 1507G board recievers, In this software Asiasat Sony Package full working, Only Few receivers can be update through USB. If your receiver doesn't support USB then you can upgrade through RS 232 Data cable. 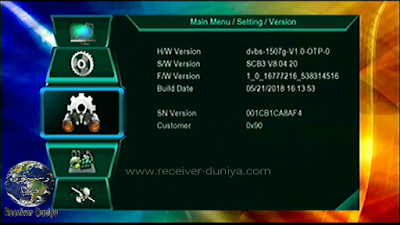 Software link and loader links are given below. 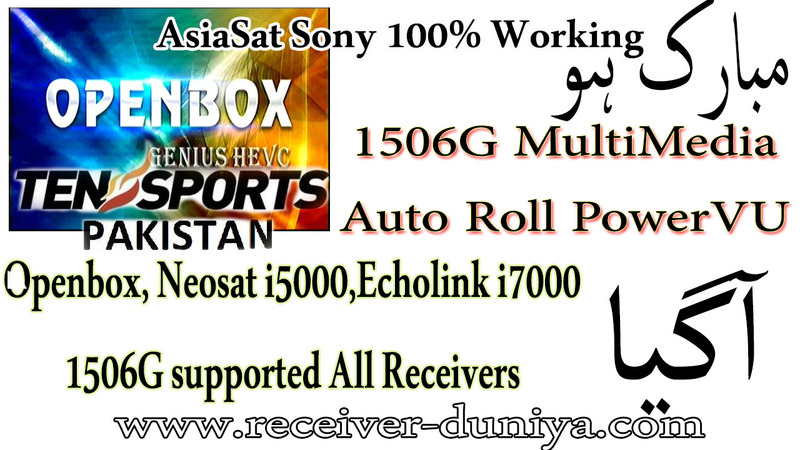 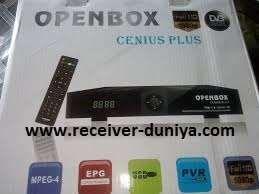 this software is fully supports Asiasat Sony PowerVU channels, GPRS, 3G, Wifi and also very fast in cccam server.